Your students aren't reading. They aren't engaged in class. Getting them to talk is like pulling teeth. Whatever the situation, your reality is not meeting your expectations. Change is needed. But who's got the time? Or maybe you're just starting out, and you want to get it right the first time. 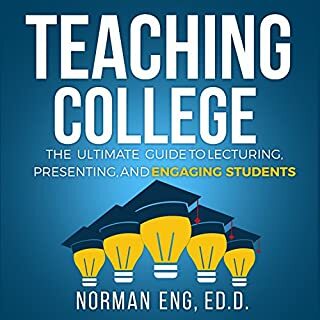 If so, Teaching College: The Ultimate Guide to Lecturing, Presenting, and Engaging Students is the blueprint. Find out how to hack the world of higher education instruction and have your course become the standard. Why Do We Make Certain Decisions? Your best intentions are not enough. Learn how to scientifically engineer a disciplined existence, become relentless, and never give up. Whatever you want in your life, self-discipline is the missing piece. Goals will remain dreams if you make the mistake of relying on motivation and your best drawn plans. 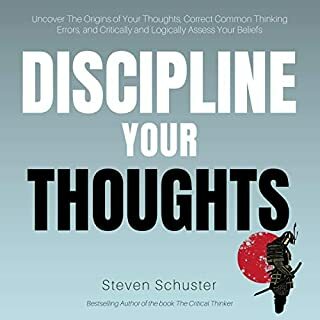 The Science of Self-Discipline is a deep look into what allows us to resist our worst impulses and simply execute, achieve, produce, and focus. Every principle is scientifically-driven and dissected to as be actionable and helpful as possible. 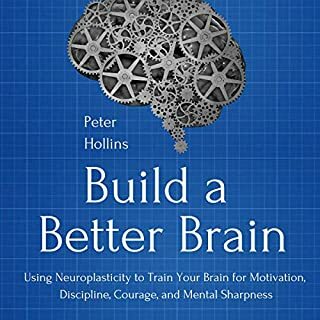 You'll learn how top performers consistently exercise self-discipline, as well as what drives us on an instinctual, psychological level to act. Become tough as nails. Bounce back from hurt. Be Calm. Bend without ever breaking. We all get knocked down, but everyone has the choice to get back up or not. How will your life your life? The art of emotional self-defense. The Science of Emotional Resilience is the rare book that understands where you've been, the obstacles you've overcome, and what you need to make sure you are in full control of your life at all times. This is a stunningly detailed and insightful guide into our emotions, our triggers, and why we act against our own interests so frequently. 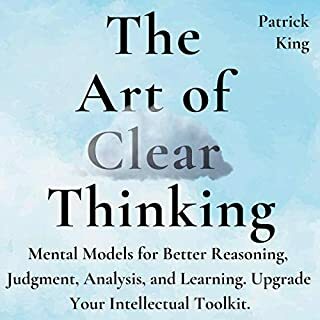 The Critical Thinker gives you a thorough description of the rules and principles of critical thinking practiced by Einstein, Plato, and every great thinker in history. You will learn about the most important critical thinking principles, as well as shortcuts to make better decisions in specific situations. These critical thinking principles will help your personal life, career, and friendships. 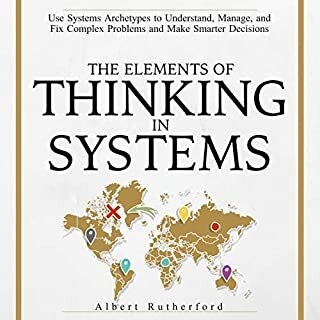 Improve your critical, logical, observational, and rational thinking skills with the timeless principles presented in this book. Encourage students to use their critical thinking skills. 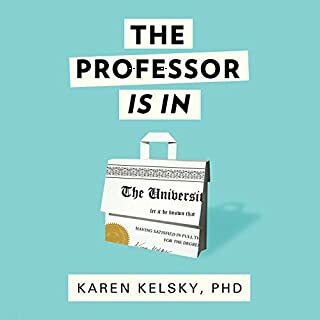 This brutally honest audiobook is based on the many lessons that Mike learned during his 15 years of teaching, and it's filled with dozens of hilarious - and often embarrassing - anecdotes. 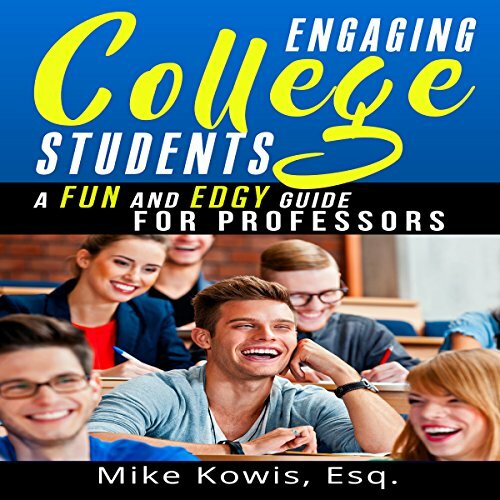 Whether you are a first-time college teacher searching for ways to connect with your audience or a tenured professor seeking to rediscover your passion, Engaging College Students: A Fun and Edgy Guide for Professors will help you fully engage your students in classroom discussions. This book was selected as the Winner in the Education/Academic category of the 2017 International Book Awards, the Bronze Medal Winner in the Nonfiction Education genre of the 2017 Readers' Favorite Book Awards, and the solo Medalist Winner in the Education category of the 2016 New Apple Book Awards for Excellence in Independent Publishing. ©2016 Patrick M. Kowis, Jr. (P)2018 Patrick M. Kowis, Jr.